Which Natural Remedies Can You Use to Reverse Hair Loss? Certain medications, fungal infections and underlying diseases are additional contributing factors to hair loss. Blood thinners and antidepressants, for example, are both associated with hair loss. So are such medical conditions as lupus and diabetes. Added to this list is overwhelming stress from a traumatic event and genetics. To illustrate, pattern baldness that affects both men and women is a hereditary condition. Experts indicate that, depending upon the reason and severity of hair loss, such a condition can be treated with natural remedies. These may yield benefits for all sufferers of hair loss. Simple lifestyle changes that include diet, herbs and vitamins and caring for hair are all examples of natural hair loss remedies. Diet: Typically, one of the first places to start when seeking relief from hair loss is with diet. Hair loss is often attributed to a lack of proper nutrients. For example, foods that have high levels of saturated fat do not offer the nutrients essential for healthy hair. Similarly, indulging in quantities of coffee and alcohol, as well as foods that are greasy, sour, fried and processed reduces the intake of important vitamins and minerals. These lead to depraved hair follicles that cannot properly grow. Instead, a diet high in iron, zinc, protein and vitamin B12 poses a much healthier alternative. Vitamins and herbs: One of the most prominent vitamins that can be used to grow hair is biotin. In addition to other B vitamins, this nutrient helps to stimulate hair follicles and keep existing locks strong and healthy. Although biotin can be obtained from diet, thousands of calories are needed everyday to achieve the most benefit. Instead, experts recommend taking a daily biotin supplement. Herbs are also believed to provide benefit when trying to restore hair growth. Green tea is shown to influence blood concentrations of some hormones. 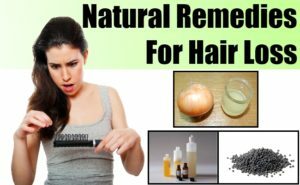 In addition, such remedies as licorice extract, horsetail, apple cider vinegar sage tea (directly applied to the scalp to stimulate hair growth) and ginger are among those considered to help hair loss. Hair Maintenance: What a person puts into his or her body is as important as how he or she maintains that body. The same is true of hair. Certain hair styles, such as pony tails, pig tails and cornrows, can cause hair breakage and even scar the scalp. Hair treatments that include permanents, coloring and hot oil can also lead to hair follicle swelling, a condition that may cause hair loss. The bottom line is that hair should be treated gently. Avoid over-exposure to blow dryers, tight hair rollers and curling irons, as these are also linked with hair breakage. Moreover, deter from corrosive shampoos full of abrasive chemicals. Natural shampoos and conditioners should be used when possible. Finally, apply hair protecting sprays and gels when going outside. This will prevent damage from UV rays and other environmental hazards. If you continue to struggle with your hair we strongly advise hair extensions to avoid further damaging your own hair. Read more about hair extensions here: https://mybrazilianhair.co.za/.